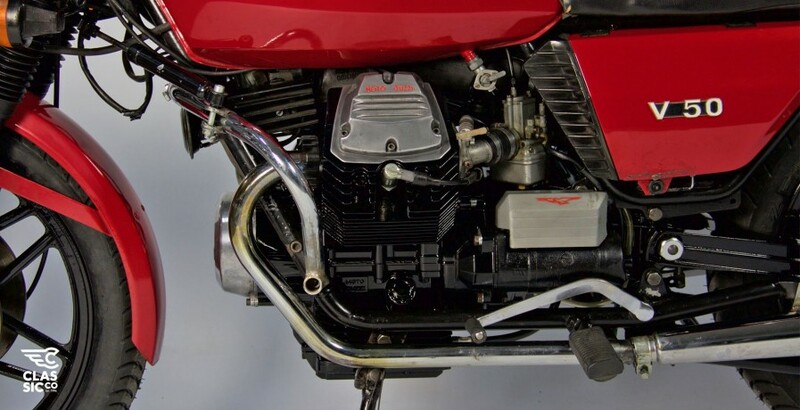 Tech stuff: 498cc, 37 hp, 159 kg, stock pistons, unleaded converted valve/seat heads. DellOrto PHBH28. 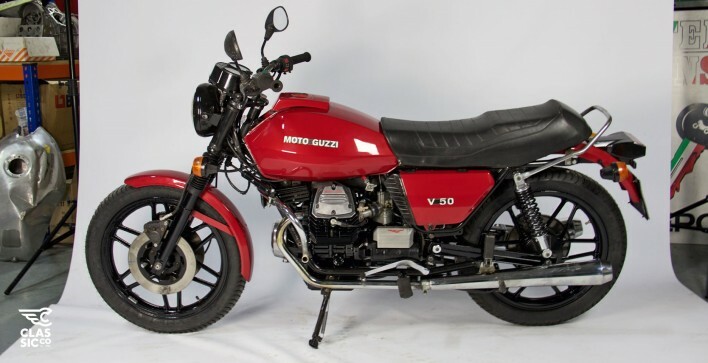 Example of one of our mechanical restoration and mild modification of an original Moto Guzzi V50. The engine, gearbox and trasmission were rebuilt and blueprinted. Transmission and drive box were in bad condition so they had to be changed completely. All mechanical parts were finished with a special black gloss coating. Front forks were rebuilt and coated, new YSS shocks. Wheels were sandblasted and coated. New Metzeler tires.